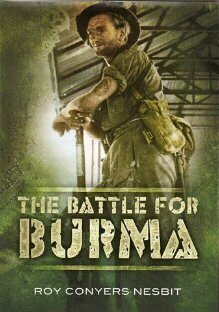 The struggle of British, Commonwealth and American-Chinese troops against the Japanese in Burma was one of the decisive campaigns of the Second World War. British India was threatened by the Japanese advance, the fate of the British Empire in the East hung in the balance. The tropical climate - dense malarial jungle infested with vermin and swept by monsoon rains - made the fighting, for both sideas, a remarkable feat of arms. Yet the war in Burma rarely receives the attention it deserves. Roy C Nesbit, in this highly illustrated account, traces the entire course of the campaign. In vivid detail he describes the British retreat and humiliation at the hands of the Japanese invaders in 1942. The Japanese were fanatical and trained in jungle warfare, well-equipped and backed with an overwhelming air power. The Allied response was to to build up their forces on a massive scale - eventually over 1,300,000 personnel were involved - and to train them to fight in the jungle conditions. Their counter-offensive, launched in 1944, culminated in the battles of Imphal and Kohima which turned the course of the conflict and the conquest of Burma was achieved just before the atom bomb was dropped. Roy Conyers Nesbit has a long established reputation as a leading historian of the Second World War. His service in the RAF during the war included a period as a navigator and bomb-aimer in Beauforts of Coastal Command, mainly attacking U-boat ports in Western France. At the end of the war he served in India and South-East Asia. He has made a particular study of the war in the air and at sea.